What do you get when you combine Vegas and an atomically potent concoction that leaves you seeing orange bright lights and a pallet thirsty for more? No, it’s not Wednesday evening’s cocktail reception sponsored by Ion Interactive. Although, those twinkly orange cups caused quite the stir—our team was treating them as collector’s items! 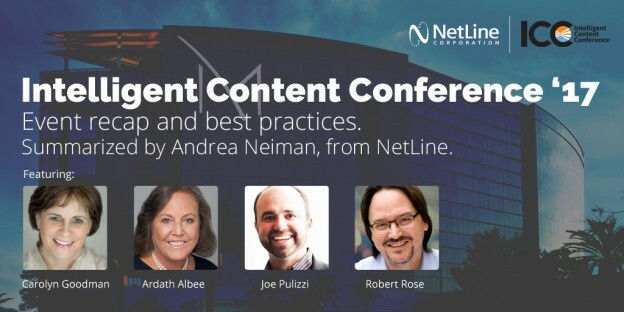 It’s 3 days of Intelligent Content Conference hosted by Content Marketing Institute. Held at the beautiful M Resort—just off the beaten path of twinkly lights—400 professionals eager to learn the latest trends in performance-based content marketing gathered to receive well-rounded exposure to all that is content marketing. From Agile Marketing to Artificial Intelligence and beyond, the 3-day conference was clearly focused on empowering the marketer within, gearing us all for improved content and business alignment. While some had their sights set on looking into the future, ICC didn’t fail to provide for those just beginning this journey value in improving and finessing basic approaches to content marketing. Joe Pulizzi and Robert Rose greeted us Wednesday morning with a warm opening session, discussed trends that plague Marketers, and inspired us to think beyond the status quo. Last week certainly paved the way for connecting with so much marketing talent—emerging and seasoned alike. Between the conversations held at our booth, to recording podcasts with Jeff Julian from EntrepreneurMarketer.com, to our sponsored Lunch and Learn with Carolyn Goodman, “How to Optimize a Guaranteed Lead Program,” and attending a very insightful session with Ardath Albee, “Reduce B2B Content Waste with a Strategy for Context,” there was no shortage of validation that marketers today continue to struggle with bridging the gap between content marketing and lead generation. New member to our family of insights. The timing of ICC and the launch of NetLine’s new 2017 Content Consumption Report couldn’t have been synchronized any better. 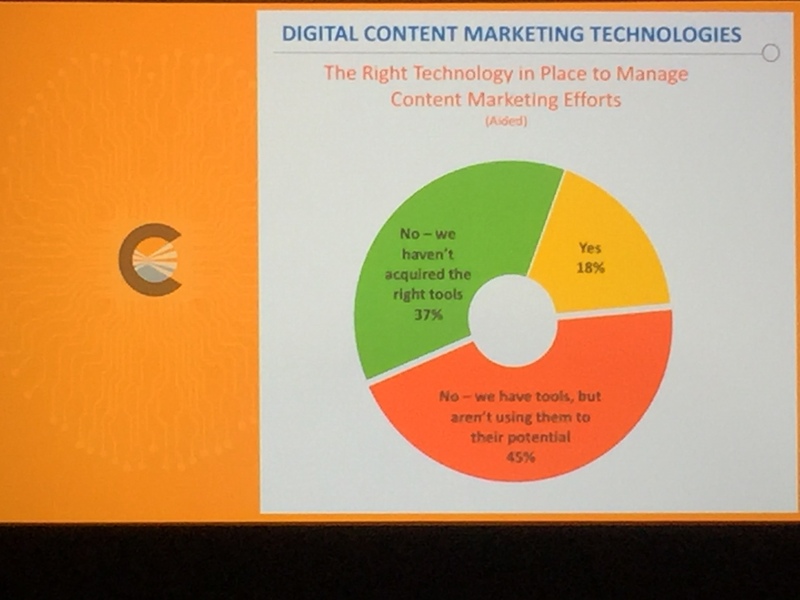 The event offered the perfect platform to debut a plethora of insights focused on helping marketers develop content that bridges the gap between their target audience, the content their audiences wants to consume, and the programs that convert to supporting lead generation goals. What we learned about targeting audiences: They’re just people. Identifying your market and figuring out how you’re going to reach them should be the most enjoyable part of building your content marketing strategy. Yet, this discovery phase—identifying and connecting with “personas” perceived to be of most value for their propensity to convert—has increased anxiety-levels equivalent to, for some, visiting in-laws for the holidays. The good news is that there are entire technology stacks—AI, Predictive Analytics, ‘Big Data’ platforms—dedicated to solving the “who’s my real customer” challenge. Marketers have become increasingly hasty, lazy, and even uneasy with identifying and approaching their audience in a very targeted manner because of the perception gained around content production. There’s a fear that has evolved that if more content isn’t being produced, the less credible and relevant one is in the marketplace. But the orthogonal can also true—too much content doesn’t equate to a perception of quality for a brand. So how do you maintain a happy balance that works for your audience and your organization? How do you step away from only skimming the surface on “thought-leadership” as you approach building a content library that conveys your brand story? High-five for less arthritis! But how do we make it count? People want solutions, not more problems disguised as advice. Unfortunately, meeting the demands of quantity-based content development to suffice some sort of meaningless KPI—usually driven by the idea that more content equates to more clicks which leads to more leads and eventually increase sales volume—couldn’t be a better recipe for a disastrous content marketing strategy and a very annoyed Sales team. 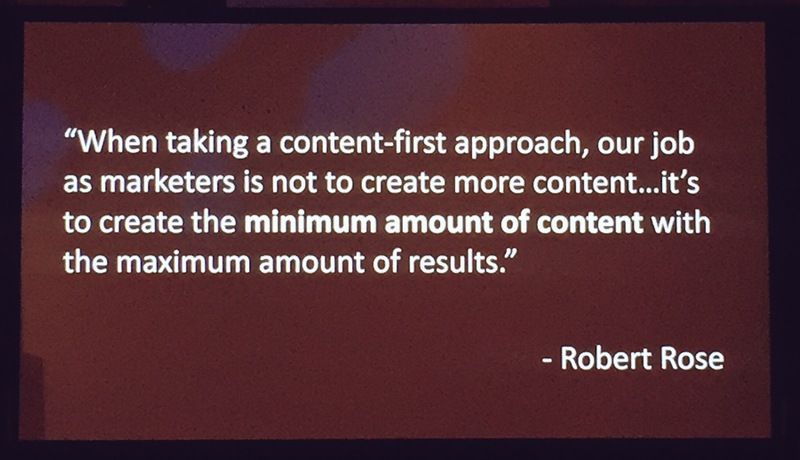 Remember, you’re developing content to ultimately drive revenue. Getting creative with your strategy doesn’t mean becoming sloppy. By using content to guide them through the purchasing cycle, you become a co-creator in their process to resolving key issues. You become a partner versus just another vendor. Learn to anticipate their next challenge by understanding who your customers are. You’re identifying people with real challenges. The mental process by which marketers identify and target audiences hasn’t changed. Yet the influx of technology over the last 3-5 years has been poised to help automate what used to be a very mechanical process of identifying users. But identifying consumers and buyers goes beyond the analytics. You may know who you’re targeting, but do you know how to attract them and generate quality business from your marketing outreach? How does content play into all of this? Carolyn’s lunch and learn effectively illustrated how leveraging a network, like NetLine’s 10 content promotion channels, and partnering with 3rd party online publishers to target specific audiences, allows technology partners to maintain credibility. Distributing content through verified industry-focused publisher sites elevates the user’s perception of a said brand because they’re discovering your solution through a vetted source. When searching for content to help resolve their industry challenge, they’ll feel less sold to and more cared for. Running lead generation campaigns with this approach results in identifying leads more inclined to convert. 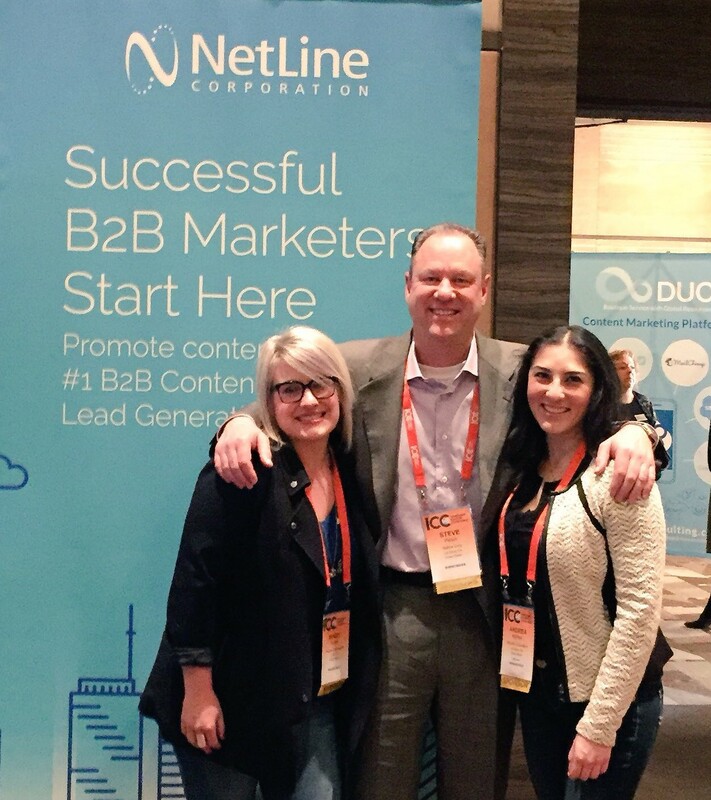 I encourage you to check out the NetLine Portal to begin managing performance-based lead generation campaigns and discover how our network of 3rd party industry-based publisher sites can extend your brand’s reach to a whole other credible level . Take a top-down approach with a bottom-line focus. None of the work to identify your audience, attract them with great content, and execute programs that feed your sales funnel will carry meaning if you don’t have a process in place for keeping your audience engaged at all stages of the funnel. This goes beyond having content that Ardath even recommends having on hand. Carolyn suggests ensuring marketers have a nurture program in place that considers scoring your leads to help further qualify for scalable sales follow-up. By reading the level of engagement in the Lunch and Learn, the topic of nurturing leads following a content-first approach to reaching and capturing audiences seemed to be the biggest concern. Rightfully so as it’s difficult to further qualify at this late stage of the sales funnel. Just like any well-designed piece of architecture or room, form and function must go hand in hand. The entire team at Content Marketing Institute couldn’t have done a better job in hosting an event of this order. Every detail to the event—from the room selection and layout, to the meals catered, to the content served at each session—lent a hand to fostering valuable connections between attendees and sponsors. 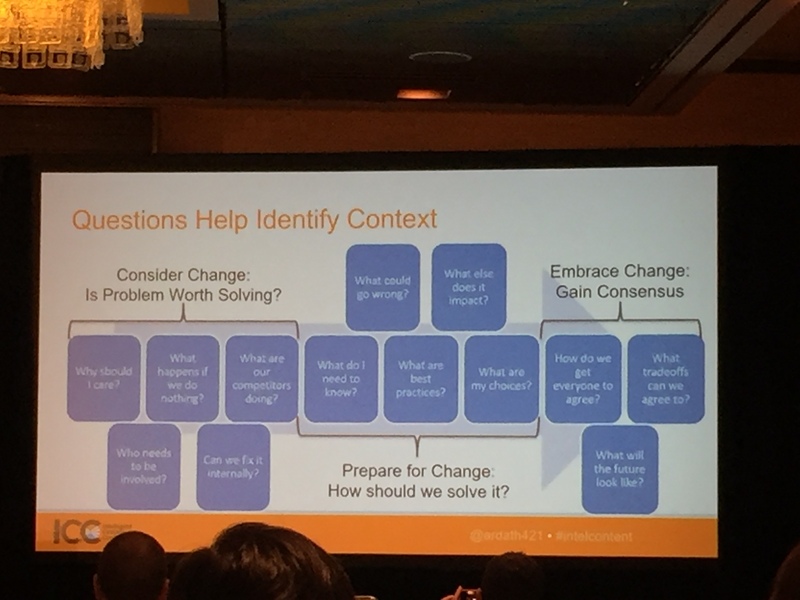 After speaking with and hearing many of the attendees, there is still a need to understand the basics—structuring content by persona and their stages of the buying cycle while remembering that empowerment lies in solving a person’s very unique challenge. Doing this well will lead the rest of your content marketing programs to success. Until next time! Signing out, the NetLine crew.